Orange Mound is an African-American neighborhood located in the southeast part of the Memphis, Tennessee. Orange Mound is the first African American community built solely by and for African Americans. Orange Mound was built on the John George Deaderick Plantation. Deaderick purchased 5,000 acres of land between 1825 and 1830, and the neighborhood got its name from a local fruit called the mock orange that grew in the shrubs there. The Deaderick plantation was sold to a white real estate developer, Izey Eugene Meacham, in 1890. Meacham divided the land and created a segregated subdivision for African-Americans. Lots were created in narrow grids and sold for less than one hundred dollars each. The neighborhood originally contained 982 shotgun houses. Compared to white neighborhoods, Orange Mound was inferior, but it was still an important symbol of status among black Memphians during the Jim Crow era. By the 1970s, Orange Mound one of the largest concentration of African Americans in the U.S. besides Harlem. During the 1980s and 1990s, however, there were high rates of drugs, crime, and violence as a result of the poverty in the area. Despite harsh conditions the laborers and domestic workers who lived there often raised sons and daughters who became business owners, lawyers, doctors, attorneys, and teachers who in turn became influential members across the larger community. By the early 21st Century Orange Mound underwent revitalization. Organizations such as the Orange Mound Collaborative, S.M.A.R.T. (Servicing the Metropolitan Area through Redevelopment of Targeted Neighborhoods), the Orange Mound Community Garden, and the Melrose Center for Cultural Enrichment. 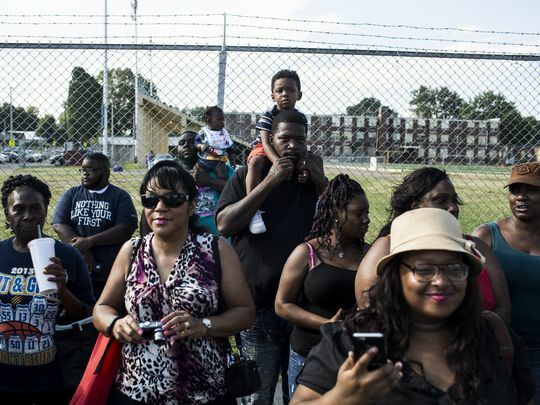 Orange Mound continues to be a cultural hub in Memphis. Prominent churches include Mt. Pisgah C.M.E. Church, Mount Moriah Missionary Baptist Church, and Beulah Baptist Church. These churches played a role in the Civil Rights Movement by assisting and supporting various activists. Civil rights activism is still important, as many political leaders call Orange Mound home such as Harper Brewer, the first black speaker pro tem of the Tennessee House of Representatives. Orange Mound is also home to a vibrant underground hip hop/rap scene (8 Ball and MJG). These younger artists are part of a long tradition of music in the community. Blues legends B.B. King and Bukkah White played some of their earliest gigs in the community. Prominent athletes also have their roots in Orange Mound, such as former Memphis State basketball coach Larry Finch, Denver (Colorado) Broncos’ Tori Noel, and Olympic gold track athletes Sheila Nichols and Rochelle Stevens. Education is also a source of pride in Orange Mound which includes schools such as Dunbar Elementary and Melrose High School. In fact, the creators of “Memphis Sound” (Willie Mitchell and Carl Cunningham) and Stax CEO Kirk Whalum first played in the Melrose Band. Moreover, Melrose graduate, Dr. Alvin Crawford was the first African American to earn a medical degree from the University of Tennessee and became internationally recognized for orthopedic surgery. Overall, Orange Mound has faced many hardships, but continues to foster a strong sense of community and identity within a large urban environment. The neighborhood has a long history of resilience, pride, and sense of identity that continues to live on today. “A Community Called Orange Mound”, WKNO Public Broadcasting; http://www.wkno.org/tvshows/orange_mound.html; D.L. Chandler, “Little Known Black History Fact: Orange Mound,” https://blackamericaweb.com/2015/09/11/little-known-black-history-fact-orange-mound-tennessee/.